The resilient ABS body makes the instrument a reliable companion under all climatic conditions. A simple, robust chromonica „made in Germany“ with an unbeatably priceperformance ratio. 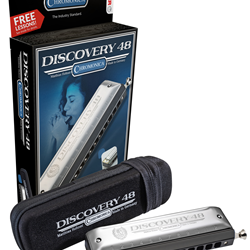 Discover the world of the chromonica with the Discovery 48 from HOHNER.